*The role of Scarlett Johansson will be played by 8 Asians. 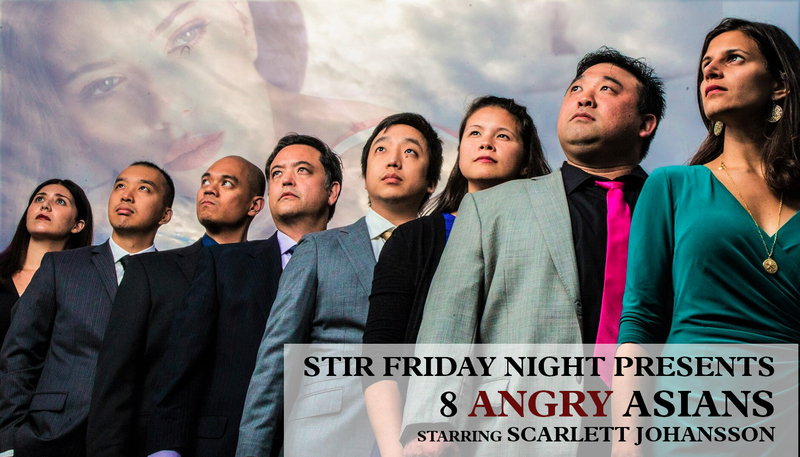 Stir Friday Night is a 21-year-old Asian-American comedy group. Some of our alumni include Danny Pudi from Community, and Steven Yeun from The Walking Dead.